Flow chart basic on an A4 size paper in a vertical, portrait orientation. This diagram has 4 flow boxes. Flow chart basic on a letter size paper in a vertical, portrait orientation. This diagram has 4 flow boxes. Essay plan on an A4 size paper in a vertical, portrait orientation. An essay plan is the barebone of your essay, and includes your argument, main points, conclusion and schedule. 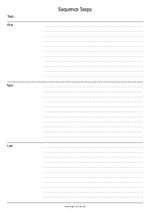 Essay plan on a letter size paper in a vertical, portrait orientation. An essay plan is the barebone of your essay, and includes your argument, main points, conclusion and schedule. T-chart ruled on a letter size paper in a vertical, portrait orientation. 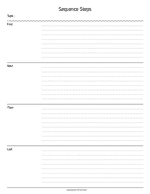 This is a plain organizer that allows you to look at the pros and cons of a subject. 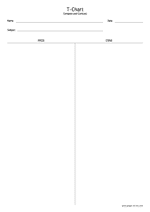 T-chart on a letter size paper in a vertical, portrait orientation. 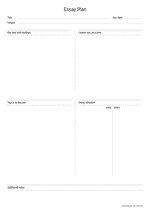 This is a plain organizer that allows you to look at the pros and cons of a subject. 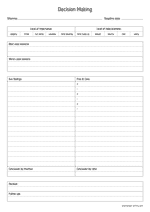 T-chart ruled on an A4 size paper in a vertical, portrait orientation. This is a plain organizer that allows you to look at the pros and cons of a subject. T-chart on an A4 size paper in a vertical, portrait orientation. This is a plain organizer that allows you to look at the pros and cons of a subject. Sequence steps on a letter size paper in a vertical, portrait orientation. 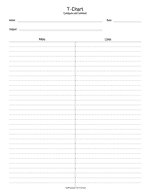 This sequence list is a three steps (first - next - last) sheet that helps you to organize thoughts, stories and other sequential scenarios. Sequence steps on an A4 size paper in a vertical, portrait orientation. This sequence list is a three steps (first - next - last) sheet that helps you to organize thoughts, stories and other sequential scenarios. Sequence steps on a letter size paper in a vertical, portrait orientation. 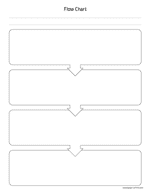 A sequence list is a four steps (first - next - then - last) sheet that helps you to organize thoughts, stories and other sequential scenarios. Sequence steps on an A4 size paper in a vertical, portrait orientation. 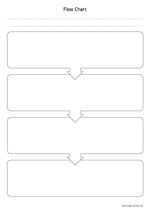 A sequence list is a four steps (first - next - then - last) sheet that helps you to organize thoughts, stories and other sequential scenarios.